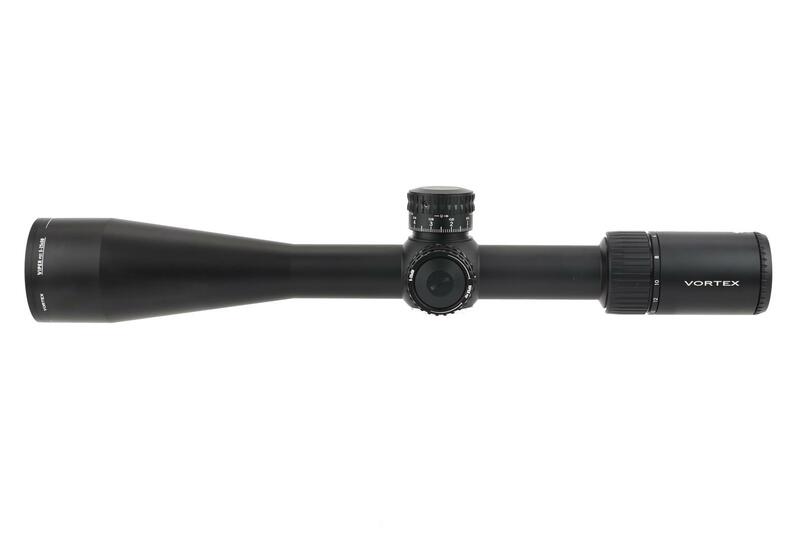 The Vortex Viper PST Gen II Rifle Scope is designed for shooters looking for every advantage they can get whether they are competing in a precision rifle match or using it for duty. 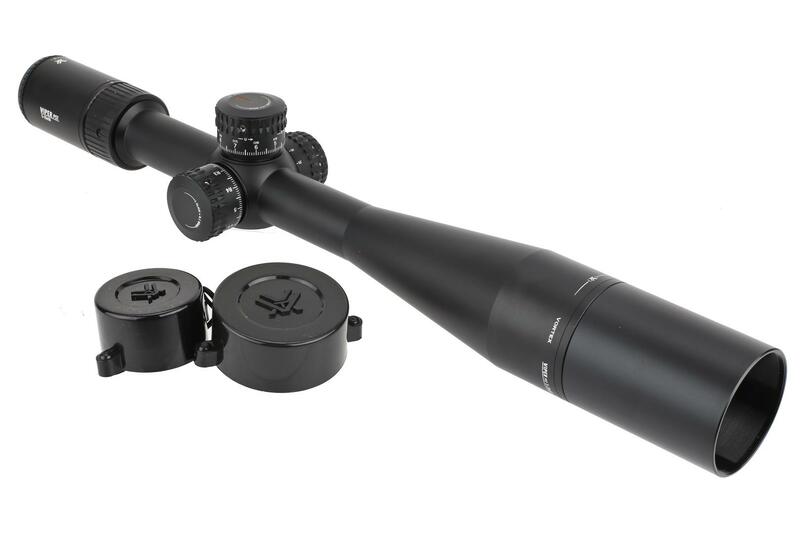 From close to long range, this first focal plane scope can do it all. 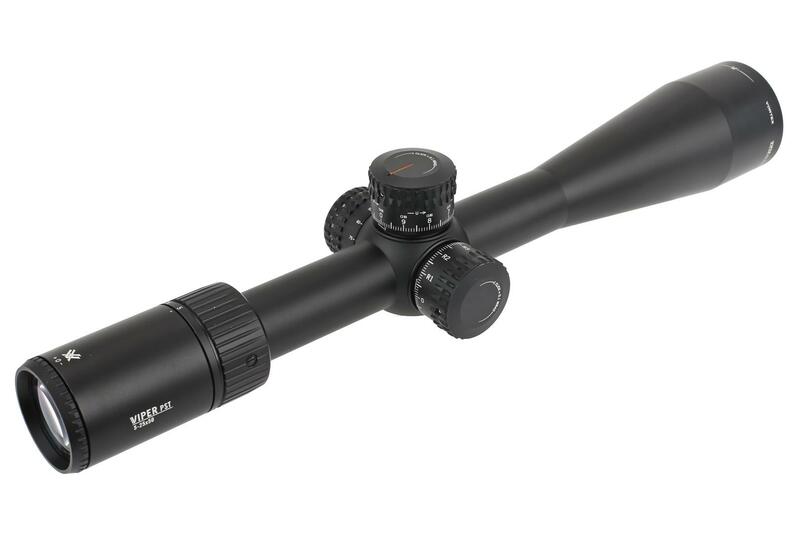 The EBR-2C reticle stays the same at every magnification from 5-25x allowing for accurate and consistent subtensions. 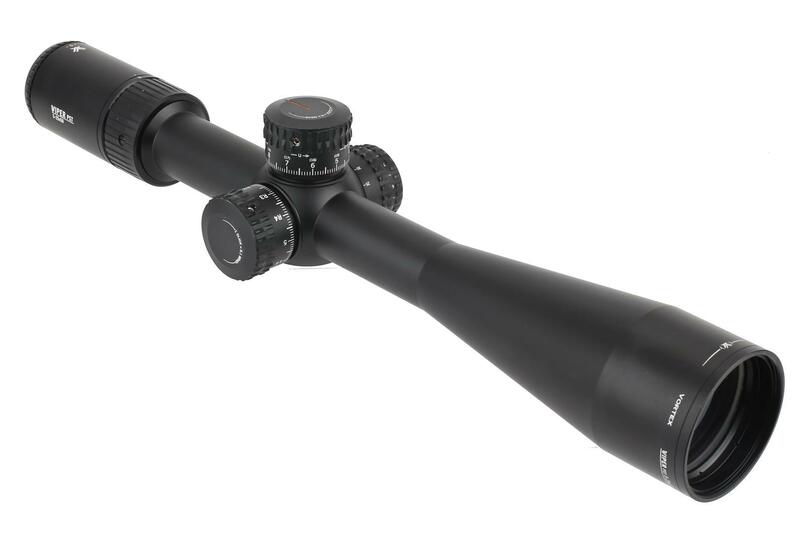 This illuminated reticle is MRAD based and has multiple features like quick range estimates, elevation holdovers, windage and moving target leads, all with extremely precise lines. The reticle is etched into the glass and can be cycled through 10 brightness levels and is powered by a single CR2032 battery. 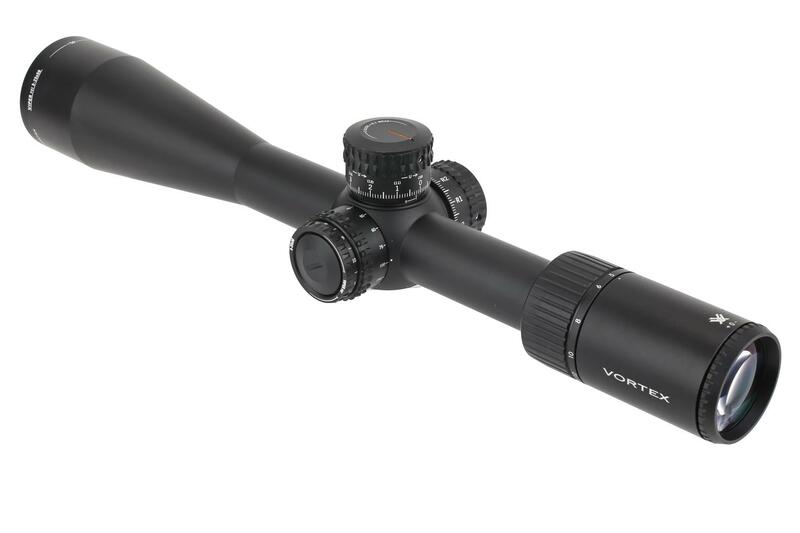 The Vortex Optics Viper PST 5-25x50 Scope is packed with intuitive features to ensure an accurate shot every time. 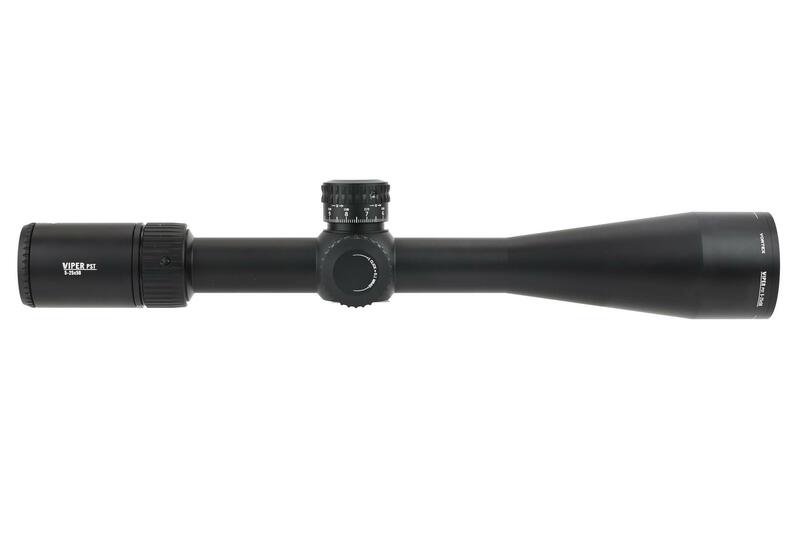 Other than the advanced reticle, the Viper PST Gen II features extra-low dispersion (XD) glass that increases resolution and color fidelity, while their proprietary coatings increase light transmission and includes multiple anti-reflective coatings on all air-to-glass surfaces. 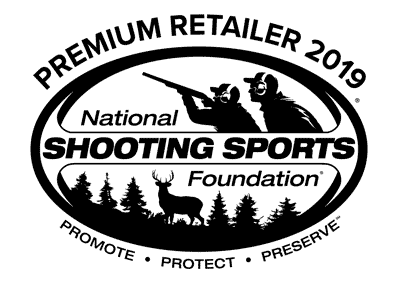 The result is crisp, sharp images for an unparalleled view downrange. Finally, the outside lenses are coated in an ultra-hard ArmorTek coating to protect them from getting scratched by dirt and debris. The single piece 30mm tube is machined from a solid block of aluminum and hardcoat anodized to reduce reflections and protect against wear. This fully waterproof, shock proof, and fog proof optic is built to last a lifetime and guaranteed to perform on any mission. The exposed tactical style turrets offer quick adjustments and a zero-stop function, so you can quickly return to zero after dialing up for a long-distance shot. The turrets also feature premium erector springs to ensure consistent repeatability and ease of adjustment. Fiber optic indicators on the turret provide a visible and tactile reference point while rotating. The precision-glide erector system allows for fast and smooth adjustment of the zoom lens, something that you don’t realize you need until you are on the clock engaging multiple targets at different ranges.